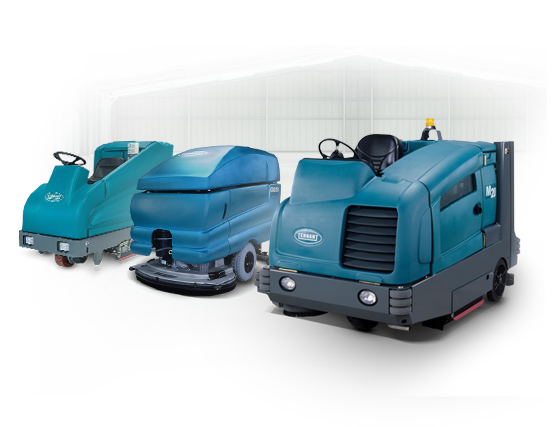 There are a number of reasons why you may not wish to purchase your own industrial sweeper, scrubber, or cleaner. If you don’t need it often or don’t have enough storage space, then a rental or equipment lease is the perfect option for you. 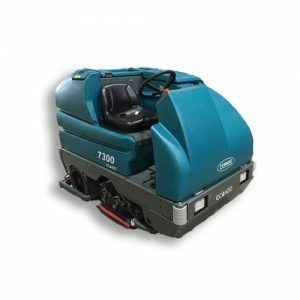 We have a number of top floor scrubber and floor sweeper models to choose from for your convenience. Check out our rentals below and contact us for more information or to organize a delivery or pickup. 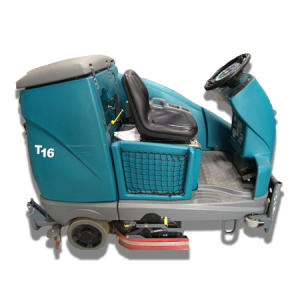 Our wide selection of Tennant industrial floor cleaning machine rentals are available to those in or close to the Greater Toronto Area. They are practical and essential for cleaning a large floor. 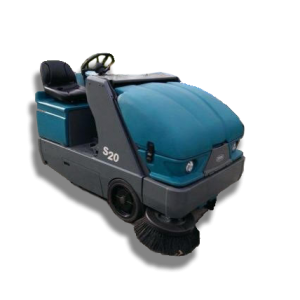 Our floor cleaning equipment rentals complete several functions at once including sweeping, dusting, mopping and drying. A commercial floor cleaner will leave your floor ready for foot traffic almost immediately and won’t leave any dust behind. The cleanliness of your store, office, warehouse or retail space can leave an awesome first impression to customers or clients when it is maintained well. Our floor cleaners make this a breeze. Rent one of our Tennant machines today and make your customers, clients or patrons feel welcome and comfortable. 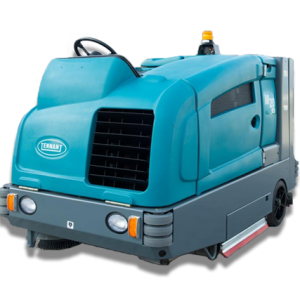 OUR TENNANT FLOOR CLEANING MACHINE RENTALS ARE AVAILABLE IN TORONTO AND SURROUNDING AREAS. 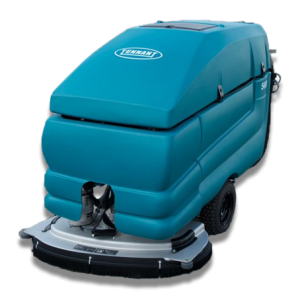 Tennant is a leading manufacturer of floor care machines. 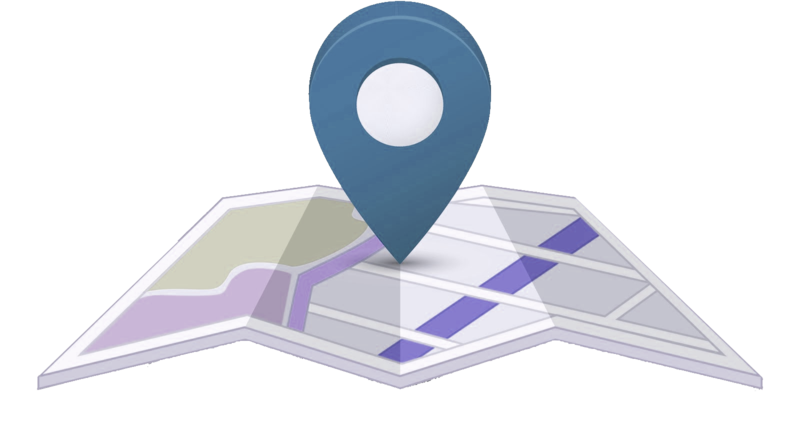 Tennant products have several amazing features which make them easy to use. 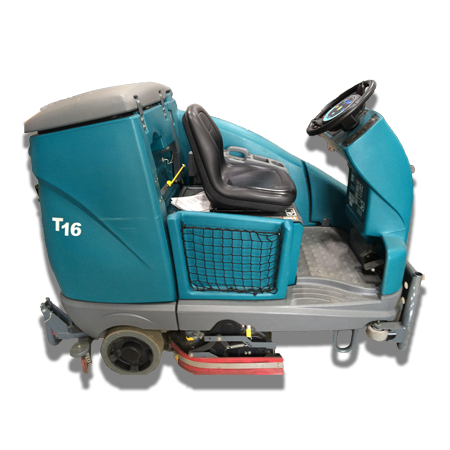 Some floor care equipment is actually enjoyable to operate like the Tennant T16 Industrial Micro Rider Scrubber. 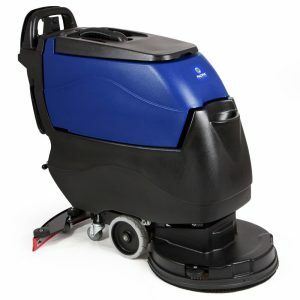 This particular model allows you to cruise around your space and clean your floor the same time. 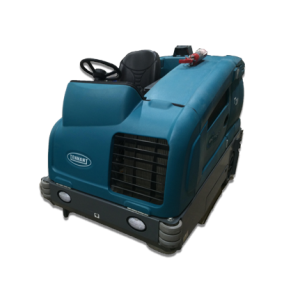 These powerful Tennant floor cleaners have an energy efficient battery adapter that works with a standard outlet. They are also designed to reduce power when the battery is fully charged. This feature prevents overcharging which can weaken the battery over time. Tennant batteries are built to last. Tennant machines are designed to have the water release and pick up automatically stop once the rank reaches full capacity. The brushes and squeegee are especially crafted to stand up to frequent contact with water. They’re also made out of cast aluminium which helps prevent them from rusting. There are many parts to a Tenant machine, and many changeable parts are designed to allow for easy, fast replacement or repair. There are no tools required to remove or add a changeable part to a Tenant machine. Even though there are changeable parts, Tennant machines require lower maintenance than other machines and are also built to last longer than others.